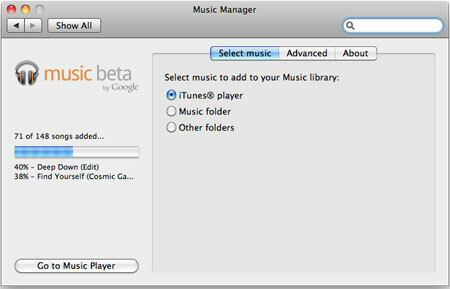 While Apple's iTunes player and associated family of digital devices (namely iPods) is the ten ton gorilla in the digital music space today, competitors are setting up to poke holes in Cupertino's current position, with the on demand socially-oriented music streamers like Spotify and Rdio on one side, and the music lockers like Amazon and Google Music on the other, while Apple is largely expected to counter with its own cloud-based offering in the not too distant future. The music industry being what it is, a near monopoly run by people a little tired of having their businesses eviscerated by smart geeks with software for the last decade plus, no one service has been able to get everything it wants all at once. Spotify's US entrance has been slowed repeatedly, while Google and Amazon stopped short of signing all the labels, launching their service as solo silos, with later deals expected to fill holes. It's a crowded field with much riding on who gets access to what music and in what form. On that backdrop, Google Music opened up in beta as part of Google I/O last week, not delivering the seemingly infinite music library I've enjoyed from Spotify over the last 18 months or so, but instead, giving a music player in the cloud on any modern browser - pushing me to find my non-DRM music files and transfer them into the cloud for later playing. Not limited just to Chrome, the service plays well with Safari and Firefox on the Mac, and an accompanying Android app accesses the same library - providing you access to your tunes from just about anywhere - convenient once you've achieved the task, but still feeling like homework when you first get started. As noted Sunday, my main media Mac (an older generation MacBook Pro) has the lion's share of my music, with the MacBook Air having a few hundred songs only - all my activity having leaned to Spotify for the last two years. Nonetheless, I downloaded the Music Manager from Google, told it where to find my music, and for several hours this evening, the application uploaded my MP3 files to my Google Music locker, leveraging my iTunes metadata to correctly assign song details, including artist, genre, and even how many times the songs were played. As Google Music can only post non-DRM tunes, of the 500 or so songs I have, just under 150 were found to be available without Apple's lossless formatting. 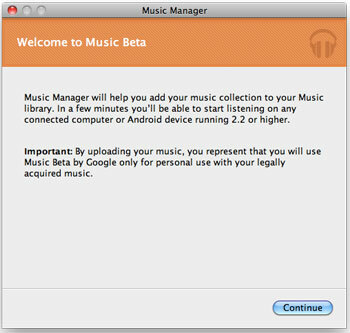 Music Manager installed itself as a control panel on my Mac and uploaded tracks two at a time to the cloud in the background. 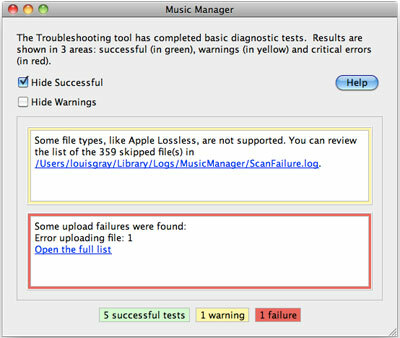 I have to imagine that with larger libraries numbering thousands or tens of thousands of songs, this process will no doubt take days or weeks, so if you can use a non-production computer, or can set the job to take place overnight, you're probably better off. In this regards, for traditional iTunes users, Apple may have a leg up in its proposed cloud strategy, pointing to your previous iTunes purchases as being "owned" by you, while you're responsible for uploading or flagging the others from your own collection. The process of uploading seems cumbersome, but should only have to be done a single time. Alternatively, it'd have been great to check my own database of music against a central database owned by Google, who could simply "unlock" tracks or albums for me, skipping the actual data transfer process. But with no deals done, the music locker is simply an empty bin for me to fill, even if the metadata assigned to some of my songs is incorrect. 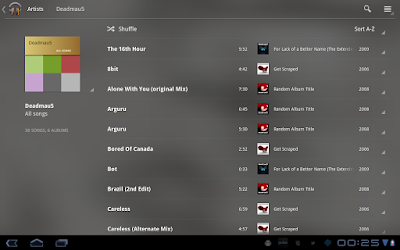 As my songs started to populate Google Music online, the same familiar user interface most of us know from programs like iTunes, WinAmp and others is displayed, listing the song names, times, artist, albums and play count. Instead of a five star Apple-like rating, you can thumbs up or down individual tracks, but other attributes are the same - including the ubiquitous shuffle feature, and "Instant Mixes" which parallel Apple's "Smart Playlists" feature. Playing songs is straight forward in the browser or on the Android app. 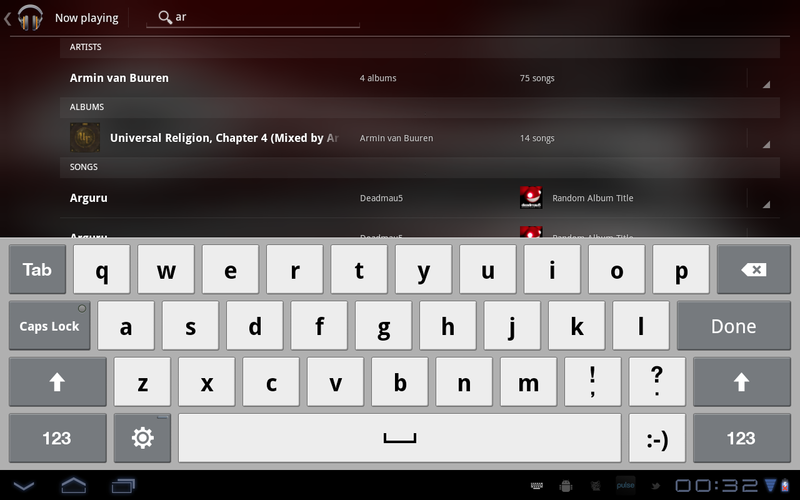 Click the track you like, and as with iTunes, you can use your keyboard to control most playback - using arrow keys to go forward or back, and hitting the spacebar to pause the song. 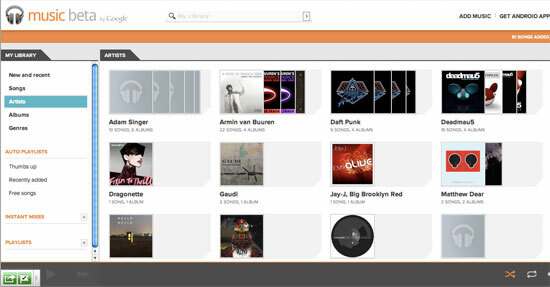 Other aspects of the service are also similar, including editing track data, although you can't batch edit songs, and as the service is from Google, an Instant Search-like field is available at all times, so if you want to find an artist, song or album, start typing and that from your library will surface. 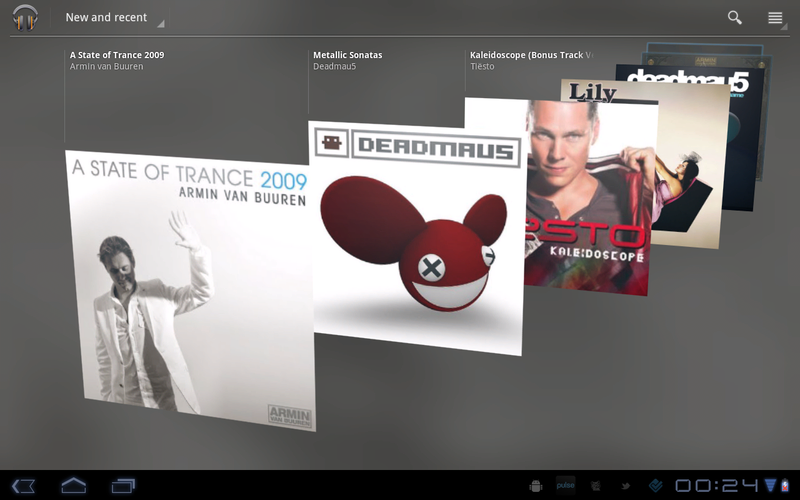 On the Android side, I tested the Google Music app on the new Honeycomb-enabled Samsung Galaxy Tab 10.1 that all Google IO attendees (press included) received last week. 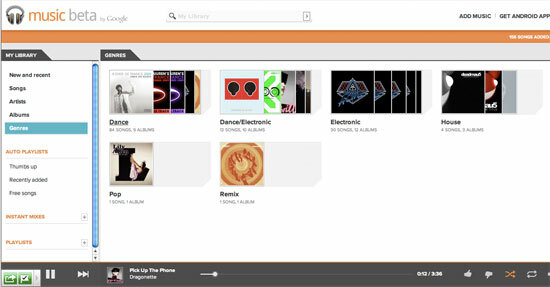 As the system recognized my account was tied to my own library, all songs posted to Google Music in the cloud were available on the device - with no downloads needed. 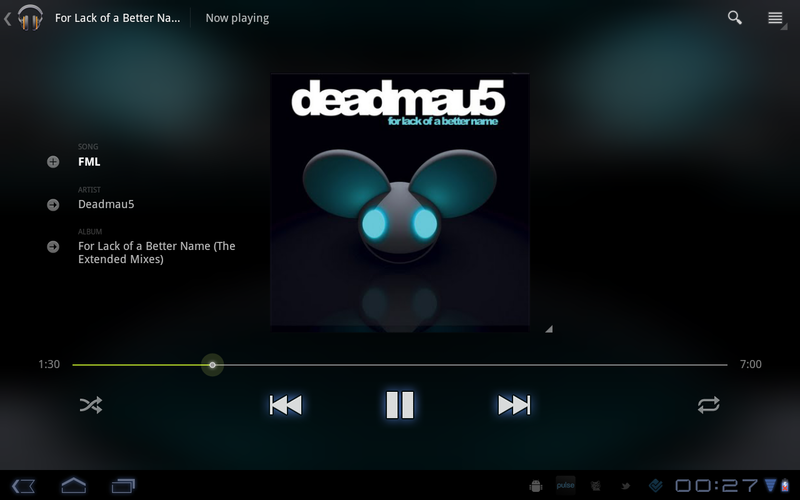 On both Web and tablet, the music quality is very good, and i wouldn't expect otherwise. After nearly two years' experience on Spotify, the sheer nature of the cloud music is not dramatic, but getting the opportunity to convert my iTunes library from something that is currently locked down to spinning disk on a single computer and a few iPods to something I can access anywhere is no doubt going to be liberating - just like it will be when Apple finally brings their own cloud option, or when I tag my own library within Spotify to auto-add the songs I've purchased elsewhere. From my talks with people close to the cloud music wars, the dollars and aggression being tossed about between players is intense, in a powerful cascade of one-upmanship from one player to another. Right now, it doesn't appear that Google has paid the top dollar needed to put all the labels in their court and out of Apple's hand, and Spotify is the little guy compared to a major league tug of war between Google, Apple and Amazon. Until this all gets sorted, Spotify remains the best option for me to get music I don't already own, and Google Music is an increasingly convenient option for the music I already do. For my Android-centric world that hasn't messed with iTunes much lately, it's good to know I can welcome back my old albums in my life again. Google Music can be found in beta at http://music.google.com and the accompanying app can be found on the Android Market here.